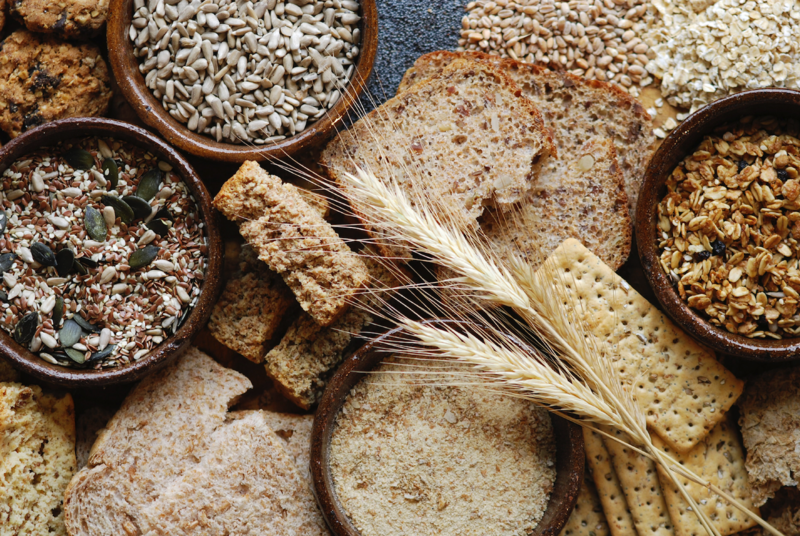 Eating the right amount of dietary fiber from breads, cereals, and fruits can help us avoid disease and disability into old age, according to an open-access paper published in The Journals of Gerontology, Series A: Biological Sciences and Medical Sciences by scientists from The Westmead Institute for Medical Research in Australia. Successful aging was defined as including an absence of disability, depressive symptoms, cognitive impairment, respiratory symptoms, and chronic diseases including cancer, coronary artery disease, and stroke. Fiber, or roughage, is the indigestible part of plant foods that pushes through the digestive system, absorbing water along the way and easing bowel movements. While it might have been expected that the level of sugar intake would make the biggest impact on successful aging, Gopinath pointed out that the particular group they examined were older adults whose intake of carbonated and sugary drinks was quite low. Although it is too early to use the study results as a basis for dietary advice, Gopinath said the research has opened up a new avenue for exploration. “There are a lot of other large cohort studies that could pursue this further and see if they can find similar associations. And it would also be interesting to tease out the mechanisms that are actually linking these variables,” she said. This study backs up similar recent findings by the researchers, which highlight the importance of the overall diet and healthy aging. In another study published last year in The Journals of Gerontology, Westmead Institute researchers found that, in general, adults who closely adhered to recommended national dietary guidelines reached old age with an absence of chronic diseases and disability, and had good functional and mental health status. Background: We prospectively examined the relationship between dietary glycemic index (GI) and glycemic load (GL), carbohydrate, sugars, and fiber intake (including fruits, vegetable of breads/cereals fiber) with successful aging (determined through a multidomain approach). Methods: A total of 1,609 adults aged 49 years and older who were free of cancer, coronary artery disease, and stroke at baseline were followed for 10 years. Dietary data were collected using a semiquantitative Food Frequency Questionnaire. Successful aging status was determined through interviewer-administered questionnaire at each visit and was defined as the absence of disability, depressive symptoms, cognitive impairment, respiratory symptoms, and chronic diseases (eg, cancer and coronary artery disease). Results: In all, 249 (15.5%) participants had aged successfully 10 years later. Dietary GI, GL, and carbohydrate intake were not significantly associated with successful aging. However, participants in the highest versus lowest (reference group) quartile of total fiber intake had greater odds of aging successfully than suboptimal aging, multivariable-adjusted odds ratio (OR), 1.79 (95% confidence interval [CI] 1.13–2.84). Those who remained consistently below the median in consumption of fiber from breads/cereal and fruit compared with the rest of cohort were less likely to age successfully, OR 0.53 (95% CI 0.34–0.84) and OR 0.64 (95% CI 0.44–0.95), respectively.